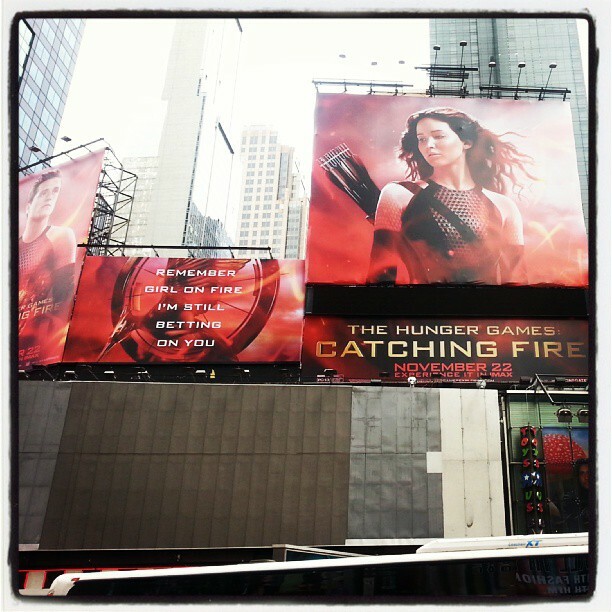 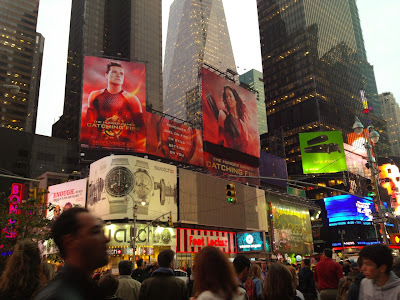 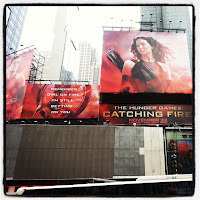 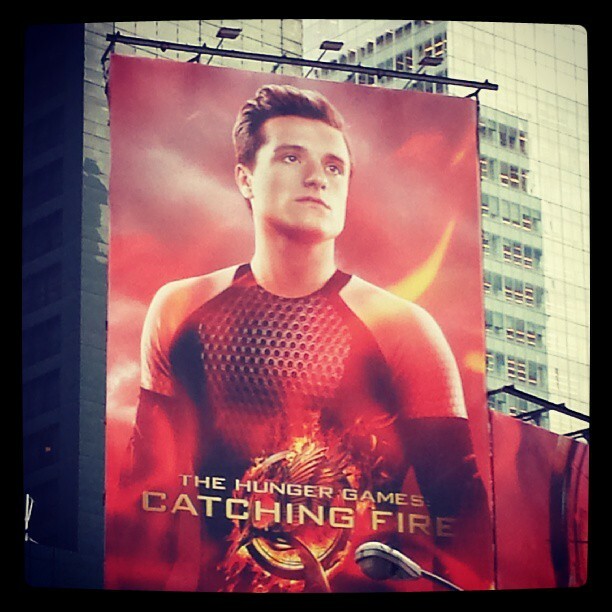 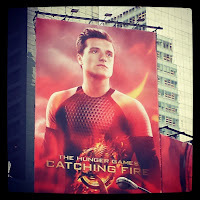 These HUGE Catching Fire billboards featuring Katniss and a new image of Peeta have been spotted in Times Square, New York City today! 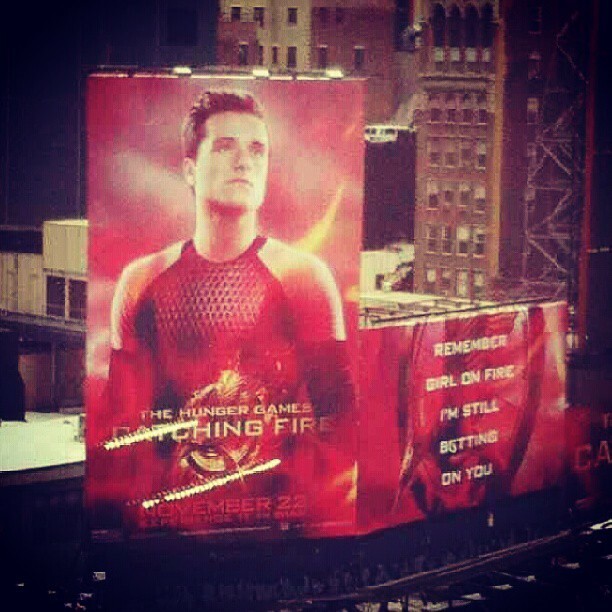 There are also unconfirmed reports of similar billboard presentations being spotted in Los Angeles. Stay tuned for pictures when they arrive!